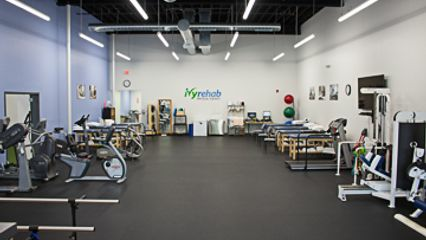 Ivy Rehab Hackensack relocated to a brand new 5,700 square foot facility in September 2017. The clinic has state of the art equipment, including a 2,000 square foot sports performance center that is able to accommodate everyone from a professional baseball player to the weekend warrior. Michael received his Doctorate of Physical Therapy from Stockton University in 2010. Michael is passionate about sports medicine, return to sport, injury prevention and concussion management. He also has extensive experience in working with acute and chronic conditions, post-operative rehabilitation and vestibular rehabilitation. He is a member of the Orthopedic section of the American Physical Therapy Association and is certified in both the Functional Movement Screen (FMS) and the Selective Functional Movement Assessment (SFMA). In his free time he enjoys spending time outdoors hiking with his wife, fishing and cooking. Suzanne Fuchs received her Doctorate in Physical Therapy from New York Medical College and her Bachelors degree in Health and Exercise Science from The College of New Jersey. Suzanne’s outpatient orthopedic affiliations exposed her to a variety of diagnoses including acute and chronic conditions, sports related injuries, post-operative rehabilitation, and neurological conditions. She also performed a systematic review on the value of the APTA Clinical Practice Guidelines for the treatment of low back pain. In her free time she enjoys taking barre and spin classes, yoga, running, and traveling.